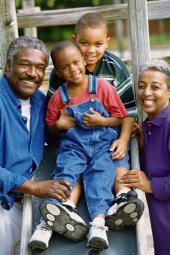 Are you a grandparent or other family member raising a relative’s child? You are not alone. More than 47,000 individuals in Washington State are caring for one or more relative children (out of a total of 51,000). The financial, legal, and emotional issues of raising a relative’s child can be challenging. Services and support when raising a relative’s child can be a lifesaver. Getting answers to questions and finding services, programs, and support can be confusing and overwhelming. We are here to help. What information do you need today? Benefits and Services - Learn about Kinship Navigators, Financial Help, Child Care, Free or Reduced Price Food, Foster Care Resources for Children with an Intellectual/Developmental Disability, Free Recreational Passes, and more. Kinship Navigators, Resource Persons and Support Groups - Find your local contact information for support groups, Kinship Navigators and resource persons who are there to support you and other grandparents and relatives raising children.